This a simple DIY tutorial on how to beautifully decorate to your plain wall plates using scrapbook paper and mod podge. Supplies: Scrapbook Paper (purchased here), Mod Podge (purchased here), Pencil, Scissors, and Flat Head Screw Driver. 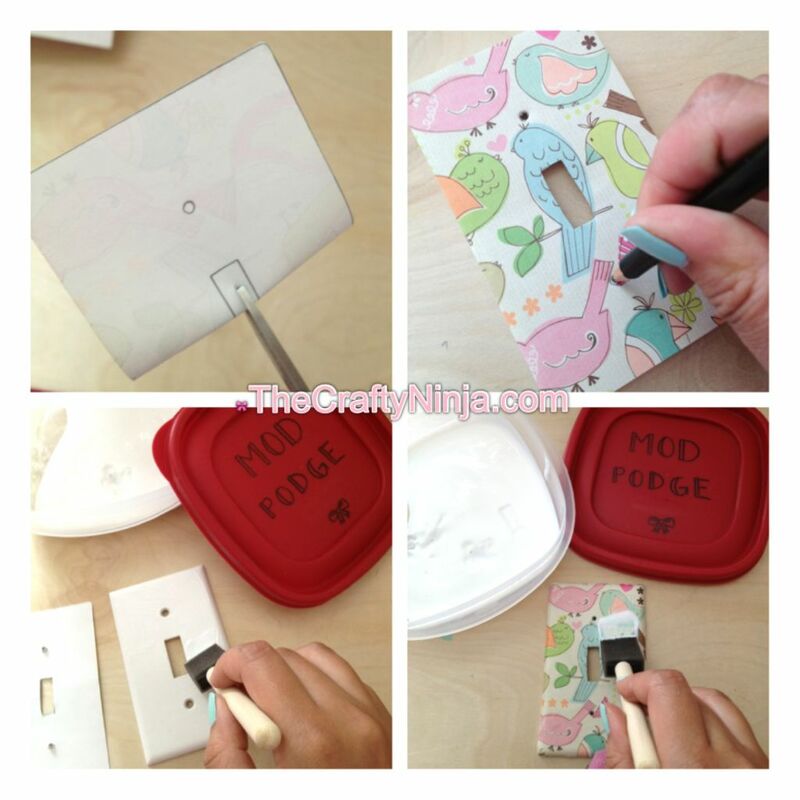 First remove the wall plate using a screw driver and trace the outline of the wall plate on the scrapbook paper (steps not shown). To cut the opening gently fold the paper over and cut in the middle, then carefully cut out the rectangle. Line up the wall plate and the scrapbook paper and punch holes using a pencil for the screws (I retraced the holes on the front, step not shown). 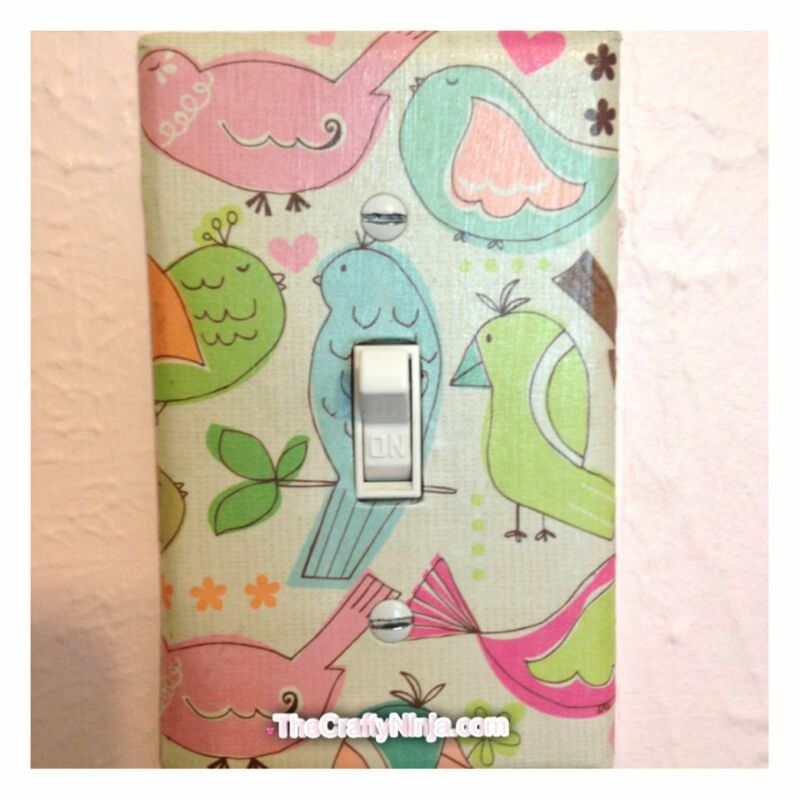 Add mod podge to the wall plate and glue the scrapbook paper, be sure to rub down firmly to get out any air pockets. Last mod podge over the scrapbook paper to seal.